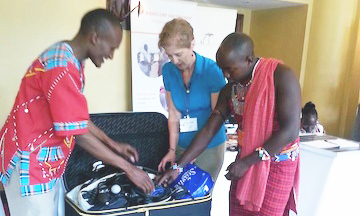 Our partner The International Ecotourism Society (TIES) chose to add extra meaning for the participants by encouraging them to “pack for a purpose” when they attended the 2013 conference being held in Nairobi Kenya. The supplies would be brought for any of the three projects supported by Basecamp Explorer and it’s Foundation. One of the participants was our wonderful Treasurer Kristen Hoyle. Kristen has been a part of Pack for a Purpose since the beginning, giving innumerable hours of her time as a volunteer to make sure our financial house is in order. My recent experiences in Kenya taught me that it is a land of contrasts. Beauty can be awe inspiring or terrifying – a view of Mt. Kenya from a prop plane or a lioness in her prime staring down your child trying to get that perfect picture. 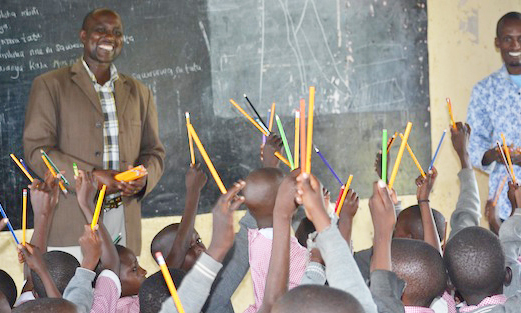 Kenyans can be gentle, kind, and funny or swift to action and justice – the headmaster in the Talek School who cares deeply for his students or the national army bringing down the Westgate terrorists. A trip that started off as a whim became deeply moving on levels that continue to resonate. I have been a board member of Pack for a Purpose since it’s inception.Because of my work schedule, I only get to travel every few years. When the board was asked to send a representative to the TIES conference in Nairobi, I jumped at the chance to finally go to Africa and bring my family. Not only would I be representing the board, but I and many of the conference attendees would be “packing for a purpose.” All attendees were encouraged to bring supplies for three local charities that are listed on the website. I got busy collecting school and medical supplies and accumulated three large bags (about 120 lbs) of supplies. My husband, daughter, and I flew into Nairobi on September 20, 2013, and went on a short safari in the Samburu district. The people of the district were warm and inviting and the animals were thrilling. Somewhat detached from technology, I was starting to unwind and decompress when I received an email on Sunday the 22nd from the conference about the “tragic incident at Westgate Mall.” The camp staff informed us of the attack but the little information they had indicated it was over. With some trepidation, we decided to continue on to Nairobi so that we could deliver the supplies. When we arrived in Nairobi on Monday the 23rd, the mall was in flames and the smoke could be seen all over the city. The conference hotel was far away from the attack, but security was very tight and we felt quite safe. Within two days, Kenyans raised 30 million shillings to help the victims and thousands donated blood. The conference was wonderful as it gave me a chance to meet a number of lodges and hotels that have been recipients of travelers packing for a purpose. For most of the three days during the conference, I shared a table with Basecamp Foundation and collected supplies on their behalf. It gave me a chance to hear from Grace Nderitu about how the supplies would make a difference to the school and medical clinic and what other needs they might have. 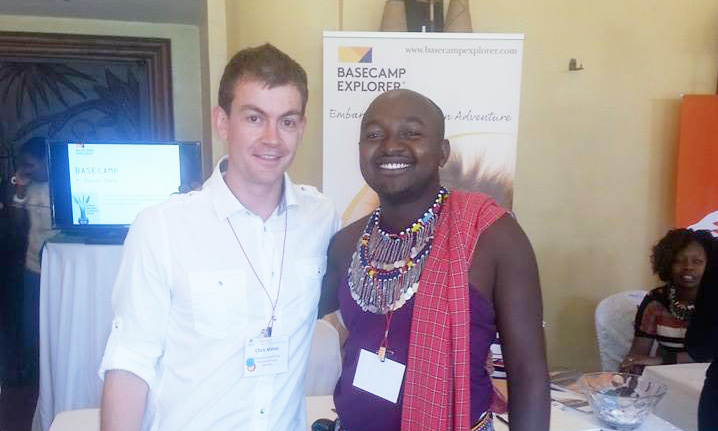 After the conference, we took another short safari in the Maasai Mara district. The expansive views and thundering herds of wildebeest was just the antidote for a tense city experience. The last full day we were in the Mara, Jackson Sasine of the Base Camp Foundation took us off the reserve and into Talek so that we could visit the school and medical clinic. The rural village was a short ride away and I was surprisingly nervous – what if the supplies were not enough? Once we arrived, however, all nervousness vanished. The happy and boisterous students surrounded the truck we arrived in and helped to carry the supplies into the headmaster’s office. He proceeded to tell us more about the school and assured me that anything we brought that was on the list would be most welcome. There were close to 1,000 students at the school, many of whom would not be there if not for Base Camp Foundation. A little bit later as they handed out one regular pencil, one crayon, and one colored pencil to each student in an elementary class, the excitement was contagious. Gratitude in such a pure and simple form is rarely seen and I will use that as an example to follow in my everyday life. 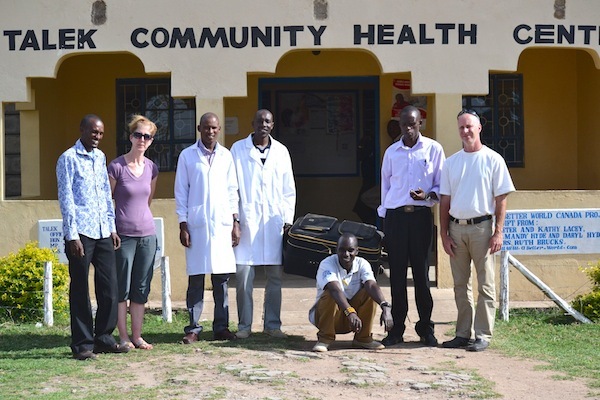 After leaving the school, we stopped by the medical clinic where we were given a tour by the community health workers. They were understandably proud of the clinic and the good that it does. All of the workers were young men who had grown up a short distance from Talek and could have very easily gone to the city to work but instead are giving back to their community. Their dedication and earnestness made me wish I had even more than the 50 lbs of supplies I had brought specifically for the clinic. While I have physically left Kenya, I feel that by “packing for a purpose” I have left a little bit of myself there. Everyone we met invited us back and I cannot wait to travel to Africa again!